Has your client booked travel accommodations through platforms like Airbnb, HomeAway and Trip Advisor? If so, they are now able to get insurance coverage for trip cancellations and interruptions. 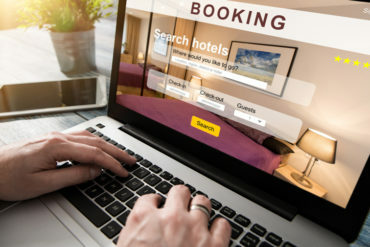 CAA Travel Insurance announced Wednesday it has added a new feature to its trip cancellation and interruption coverage to include bookings made through alternative lodging platforms. The benefit is for reimbursement of the non-refundable portion of a fully prepaid private accommodation service, booked through an approved online platform. Coverage is up to the maximum amount indicated in the policy, if the trip is cancelled due to an insured risk. “CAA Travel Insurance is one of the first companies to provide coverage for shared accommodations bookings in Canada,” CAA South Central Ontario (CAASCO) said in a press release. CAASCO’s marketing manager of travel insurance, Catherine Bodja, said the company heard from members that they were looking for coverage beyond traditional hotel bookings, which the policy update now covers. The new coverage is now integrated into trip cancellation and interruption coverage, non-medical vacation packages, and single and multi-trip vacation packages for all policyholders in Ontario. Underwritten by Orion Travel Insurance Company (a CAA-owned company), CAA Travel Insurance’s coverage will be rolled out in “more provinces in the coming months,” the company reported.